Scottsdale, AZ – November 21, 2016 – Holly Dowling has been named the winner of two Silver Stevie® Awards in both the Female Entrepreneur of the Year & Women Helping Women categories at the 13th annual Stevie Awards for Women in Business. The Stevie Awards for Women in Business are the world’s top honors for female entrepreneurs, executives, employees and the organizations they run. The 2016 awards received entries from 31 nations and territories. Nicknamed the Stevies for the Greek word for “crowned,” the awards were presented to winners last Friday night during a dinner event attended by more than 500 people at the Marriott Marquis Hotel in New York City. The event was broadcast on Livestream. More than 1,400 nominations from organizations of all sizes and in virtually every industry were submitted this year for consideration in more than 90 categories, including Entrepreneur of the Year, Executive of the Year, Company of the Year, Startup of the Year, Women Helping Women, and Women Run Workplace of the Year, among others. Holly Dowling won in the category of Female Entrepreneur of the Year – Business Services – 10 or Less Employees and Women Helping Women – Business. Holly Dowling receives these awards after wrapping up an active year serving clients including Wells Fargo, The Home Depot, Kroger, & Deloitte as a Global Keynote Speaker & Program Leader focused on women’s enrichment, strengths-based leadership, and change management. Holly also closes 2016 having served The United Nations as a speaker and moderator at their 2016 “Girl Up” Global Leadership Summit. Additionally, she was recently named a 2016 winner of the American Riviera Women Entrepreneur of the Year Award. To view Holly’s interview following the ceremony, please click HERE. 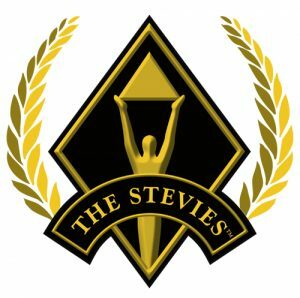 Stevie Award winners were selected by more than 160 professionals worldwide who participated in the judging process this year. Holly Dowling is a dynamic, Global Keynote Speaker and Inspirational Thought Leader with a disarmingly joyful and indomitable spirit. She is an expert in strengths-based leadership, change management, and corporate women’s empowerment. She is passionate about the privilege of leading others with love, authenticity, and a touch of sass, while sharing a message of courage and fortitude when faced with seemingly insurmountable odds. To learn more about Holly Dowling, please visit www.HollyDowling.com.